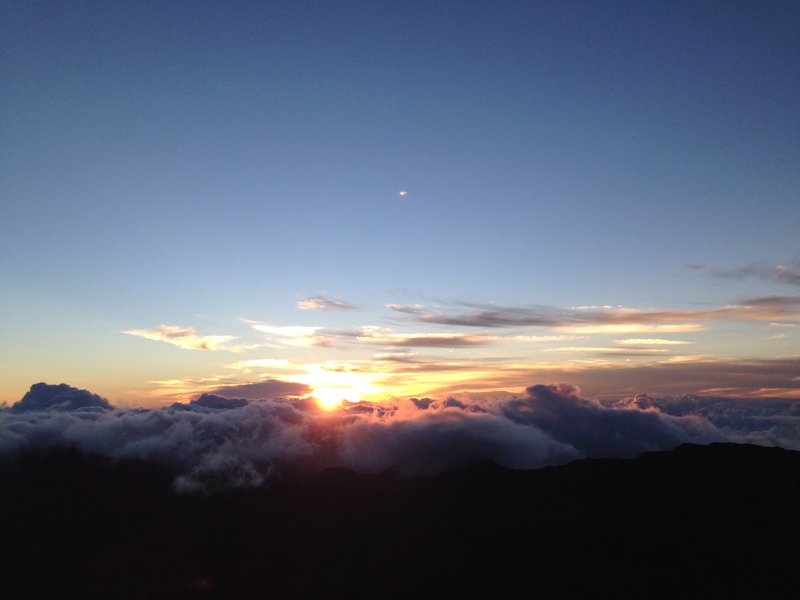 There are few places in the world more surreal than watching sunrise on Mount Haleakalā on Maui. If you get the chance, yes…it is worth is to get up at 3 a.m. to make the drive to the summit. It’s not always spectacular each day, but it’s still worth it even if it is somewhat cloudy and hidden. And yes, you should sit an linger and hike for a while after everyone has hopped in the car to drive back down. Or, hopped on a bike to bike down the hill–if you can call it that. We heard from some of our neighbors at this dazzling site that they made the drive up two days in a row to catch a spectacular sunrise. Probably worth it. Well, actually worth is. It’s gorgeous, breathtaking, out of this world. Aloha.